The Big Walnut Nature Club started off their recent events with an Eagle Outing for club members to see our local nesting Eagles. The group also held a Warbler Walk. Charlie Bombaci led the group on a hike to see some of his 250 Prothonotary Warbler nest boxes around the north end of Hoover Reservoir. More than half of Ohio’s nesting population is right here in the Galena area and people come from around the world to learn the secret to Bombaci’s success. Participants were rewarded with close-up views of the warblers and a Red Headed Woodpecker, Indigo Bunting, Scarlet Tanager, Osprey and more. 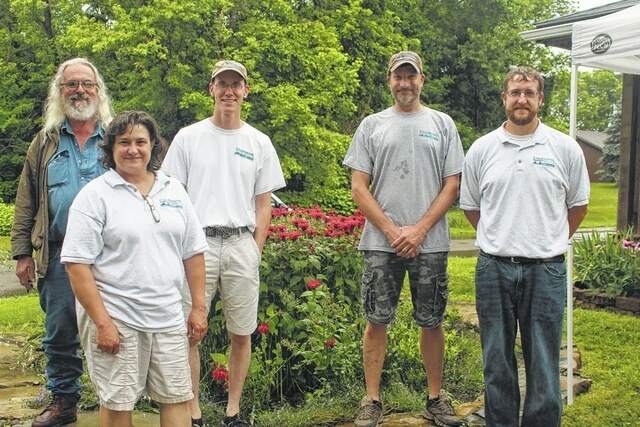 The club partnered with Coldwater Consulting in June to offer a rain garden program. The program featured Coldwater’s own rain garden which was working perfectly to handle all the recent storm water running off the roof of their offices at 46 West Columbus Street. Scioto Gardens also brought rain garden plants. For more information on building your own rain garden, visit < http://www.coldwaterconsultants.com/residential_commercial_gi.html coldwaterconsultants.com/residential_commercial_gi.html > .